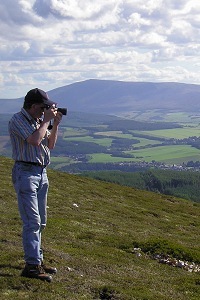 Born in North East Scotland, a naturalist and wildlife watcher since an early age, a camera user since early teens. Passionate about nature wildlife, plants and the environment but enjoying many of the other photographic genres including Travel, Landscape, Abstract, Sports & Motor Sport, Macro and making images for fine art photographic prints. An image archive of fresh new undiscovered, unpublished natural history images many suitable for publication, cover image publication, photo art and interior design wall art. "I doubt if there is any other more pleasurable pastime, the creation of a photograph for me is experienced as an excited emotional response akin the discovery of something new and fascinating, perhaps seeing something in a new light and thinking Wow! that's amazing, then... click! When out hunting for photographs this seems to create a compelling impulse that can't be denied. Hopefully this shines through in the photographs I take." "One of the most enjoyable things about photography is getting out there, enjoying the world we live in, the people, scenery and creatures that inhabit planet earth. Too much to see, too little time to see it." Some new limited edition photo art , photographic images and products will be released soon. If you would like to keep up to date with my progress please connect on Facebook, Twitter or LinkedIn all welcome! Big thanks to everyone who has taken time out to visit this site. No doubt some will stay longer than others. However long you stay I hope you enjoy your visit and find something to inspire you. Thank you for reading and for your interest in John Kelly Photography (UK). You can find out more about where I come from and what drives me to take photos by visiting my photo blog called Recollections of a Nature Photographer here you will find some shared knowledge, shared thoughts and get an insight to my personality and sense of humor.